Air Algérie Flight 5017 (AH5017/DAH5017) was a scheduled international passenger flight from Ouagadougou, Burkina Faso, toAlgiers, Algeria, which crashed in Mali, near Gossi, on 24 July 2014. The McDonnell Douglas MD-83 with 110 passengers and 6 crew on board, operated by Swiftair for Air Algérie, disappeared from radar about fifty minutes after take-off. There were no survivors. The cause of the crash is not yet known; Malian authorities are conducting an investigation with the assistance of France’s Bureau d’Enquêtes et d’Analyses pour la Sécurité de l’Aviation Civile. Flight 5017 was the third fatal commercial airliner accident in a one-week span, following the shoot-down of Malaysia Airlines Flight 17 on 17 July and the crash of TransAsia Airways Flight 222 on 23 July. Flight 5017 departed from Ouagadougou Airport at 1:15 local time (UTC) on 24 July 2014. It was scheduled to land at Houari Boumediene Airport, Algiers, at 5:10. The aircraft reached cruise altitude, flight level 310 (FL310), 22 minutes after departure and attained its target speed of 280 knots (IAS). About two minutes later, it began to gradually lose speed, and, though the speed did eventually drop to 200 knots, the aircraft maintained FL310. After an unspecified length of time had passed, the aircraft began to descend, and the speed dropped to about 160 knots. Afterwards, the aircraft entered a left-hand turn and began to lose altitude more rapidly, thus spiralling down. The flight data recording stopped at 1:47; at the time, the aircraft was at an altitude of 1,600 feet (490 m) and a speed of 380 knots. It crashed about a second later. On 28 July, it was revealed that the flight crew had asked to return to Burkina Faso, after first having requested to deviate from course because of bad weather. There was a mesoscale convective system in the area at the time, and the aircraft had deviated to the left of its course to avoid it. Satellite images apparently identifying the light flare from the aircraft impact at the margins of the storm were captured. The Malian authorities have opened an investigation and the French Bureau d’Enquêtes et d’Analyses pour la Sécurité de l’Aviation Civile (BEA) will provide technical assistance. On 27 July, BEA investigators arrived at the crash site to collect evidence. Both black boxes have been recovered; data from the flight data recorder (FDR) has been read out. The cockpit voice recorder was damaged in the impact and repaired, but “the recordings that [the magnetic tape] contains are unusable, due apparently to a recorder malfunction, with no link to the damage that resulted from the accident”. As a result, the investigation will have to mine alternative sources, like records of air-traffic transmissions. On 7 August, the investigation team held a press conference at BEA’s headquarters in Paris. They outlined the team structure (three international working groups assigned to the “aircraft”, “systems” and “operations” each) and presented an abridged timeline and a reconstruction of the aircraft’s flight path. An interim report is scheduled to be published mid-September. Following the conference, Gérard Feldzer, an aviation expert, told BFMTV that the aircraft trajectory recorded by the FDR strongly suggested the plane hadstalled in bad weather. There were 110 passengers on the plane; of those, 52 were French citizens, at least 33 of whom were French military personnel serving in Africa and Mali including three senior intelligence officials. A senior Hezbollah leader who had been posing as a businessman in Senegal andBurkina Faso was also on board. Others came from Burkina Faso, Lebanon, Algeria, Spain, Canada, Germany and Luxembourg. An Air Algérie representative in Burkina Faso, Kara Terki, told a news conference that all passengers were in transit to Europe, the Middle East, or Canada. All six crew members were Spanish. The number of persons holding multiple citizenship onboard was apparently high. The Lebanese embassy in Abidjan estimated the number of Lebanese citizens on the flight was at least 20. Some of these may have dual nationality. One Chilean had dual French nationality. On 25 July, French President François Hollande stated that there were no survivors. 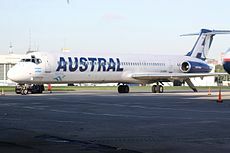 The aircraft involved in the accident was a McDonnell Douglas MD-83, MSN 53190, line number 2148. It was powered by two Pratt & Whitney JT8D engines and first flew in June 1996. The aircraft was acquired by Swiftair, a charter flight operator, and reregistered EC-LTV in 2012. It was wet-leased to Air Algérie on 22 June 2014 to provide additional capacity for the summer season. At the time of its loss, EC-LTV had acquired in excess of 32,000 cycles. [a] The director of the Directorate General for Civil Aviation (DGAC) of France, Patrick Gandil, said the plane had been checked in France “two or three days ago” and that it was “in good condition”. The logo of Air Algerie, rotated to vertically present itself, appears similar to a trident. As noted here, “Flight MH17: Twilight Tridents and Noteworthy Numbers,” tridents are connected, for whatever reason, to some recent crashes and accidents. Also, as it developed, the logo for Penghu County, where GE222 crashed, is trident-like (see here). Furthermore, besides the Air Algerie incident today, 18 children and a bus driver were killed Thursday when a train crashed into their school bus at an unmanned railroad crossing in Medak District, southern India. We are looking at logos and art that are stylized flowers, birds, and planes, needless to say, yes, but tridents, nevertheless. Todd Campbell was looking at Tridents from 2007-2011, at his blog. Campbell’s “Through the Looking Glass” was on target before it was insightful to be hitting the bullseye with tridents. Etemenanki tweets that the reason behind all the recent activity: “Neptunalia – feast day of Neptune-Poseidon, god of horses, sea, quakes, and associated with Atlantis.” Neptunalia begins on July 23rd. Tridents, again, of course. It is also worthy of noting that the 2008 Mumbai attack (India’s so-called “9/11”) was at various locations, one of which was the assault against the Trident Hotel. 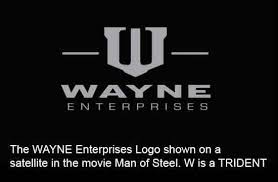 Plus, also, July 23rd was “Batman Day,” and guess what the fictional Wayne Enterprises uses as their logo? On Thursday, July 24, 2014, an Air Algerie flight with 116 people on board dropped off radar, prompting a search for the missing plane. Flight 5017 lost radar contact 50 minutes after takeoff from Ouagadougou, Burkina Faso, early Thursday. It was supposed to arrive at Algiers’ Houari Boumediene Airport about four hours later. The Air Algerie Flight 5017 disappearance comes exactly a week after a Malaysia Airlines Flight MH17 was brought down in Ukraine with 298 people on board. [Ouagadougou is the capital of Burkina Faso and the administrative, communications, cultural and economic centre of the nation. It is also the country’s largest city, with a population of 1,475,223 (as of 2006). 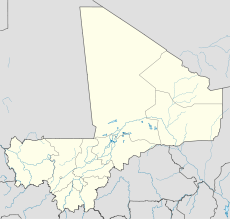 The city’s name is often shortened to Ouaga. The inhabitants are called ouagalais. The spelling of the name Ouagadougou is derived from the French orthography common in former French African colonies. If English orthography were used (as in Ghana or Nigeria), the spelling would be Wagadugu. The plane, an MD-83, was carrying 110 passengers, two pilots and four crew members. The MD-83 is part of the McDonnell Douglas MD-80 family of twin-engine, single-aisle jets. The plane belongs to a private Spanish company, Swiftair, but it appears to have been operated by Air Algerie. The Swiss Air logo on its side, of course, is a trident. “We have lost contact with the plane,” Swiftair said. The tweet appears since to have been deleted, according to CNN. Initial reports of the crash were confirmed by Algerian aviation authorities. “I can confirm that it has crashed,” an anonymous official told Reuters. While details of the whereabouts of the plane remain unclear, early reports from the CCTV network and Algerian TV suggested that it went down in Niger. Later reports say that this Air Algerie flight with at least 116 people on board that dropped off radar is thought to have crashed in Mali, the flight operator said. Air Algerie said via Twitter that the plane has apparently crashed in the Tilemsi area, about 43 miles (70 kilometers) from the southeastern city of Gao (which had the ancient name of Kawkaw or Kuku). There are reports that many French citizens may have been on board 5017. Air Algerie is Algeria’s national airline, with flights to 28 countries. The deadliest incident in the airline’s history occurred in March 2003 when a domestic flight crashed after takeoff, killing 102 people on board. 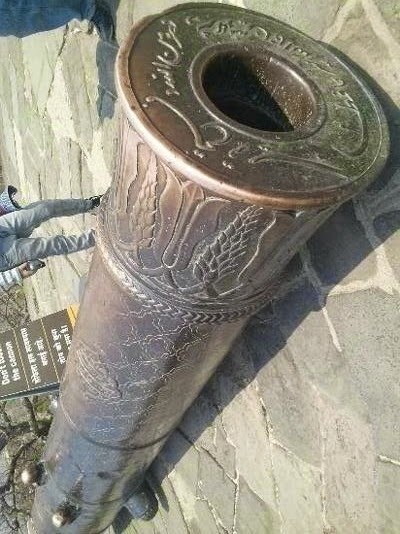 One person survived. In February 2014, a Hercules C-130 military aircraft crashed in the mountains of eastern Algeria, killing 77 of the 78 people on board. So, where should we look for the next tragedy, terrorist attack, or crash? 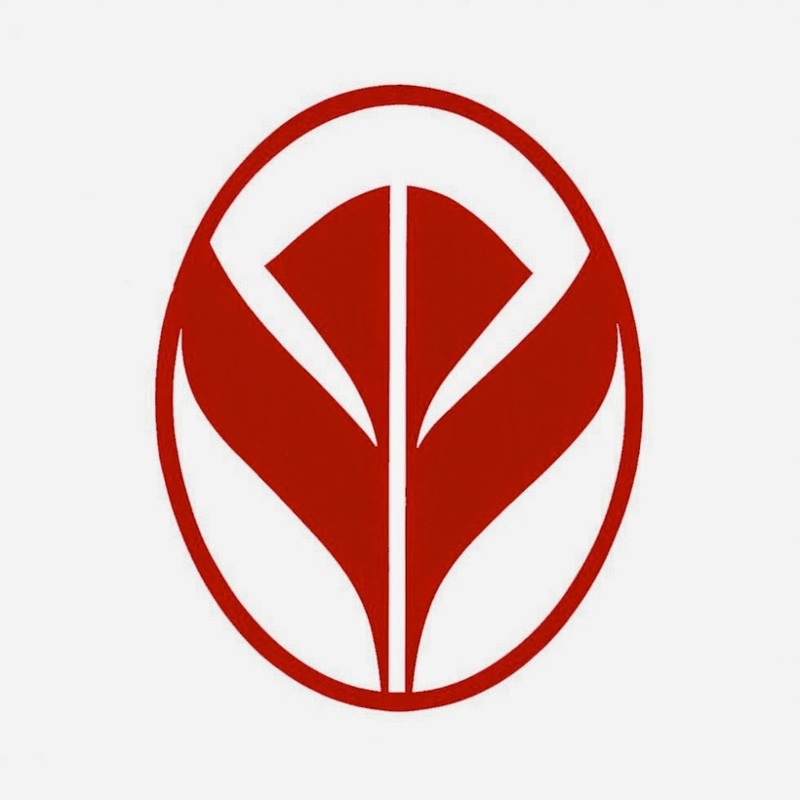 The Japan Airlines logo is a stylized trident. 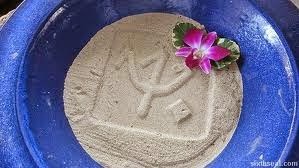 Club Med uses the trident as their logo. Even Arizona State might be in the mix with their trident logo.